The name of this flip flops may seem like a tongue twister (at least for me), but its concept is quite amazing. Switch Straps flip flops eliminates the need to change your flops to match your get up for the day. 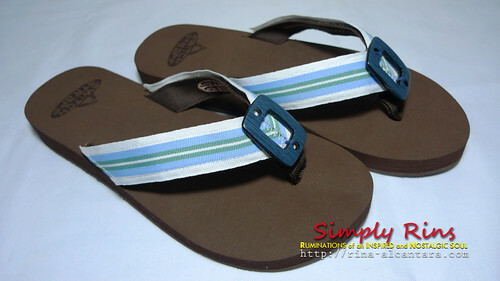 As the name implies, switch your straps not your flops". My very own Switch Straps flip flops! Switch Straps are basically flip flops with interchangeable straps. First, you choose a color for your basic flip flops. Mine is brown. The sole is composed of hard rubber to prevent slipping and the upper sole is comfortable enough not to hurt your feet even after wearing it for a long time. 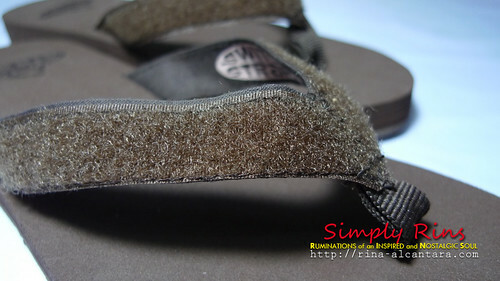 You can view available basic flops at Switch Straps Flip Flops Multiply Album. The basic flops has a velcro covering the entire strap. 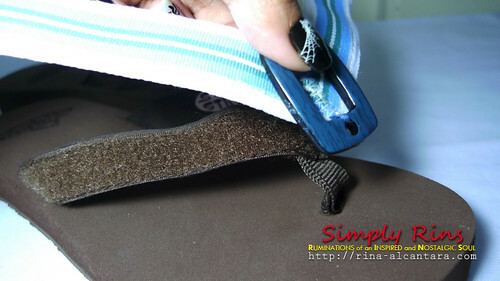 Second, choose from a variety of straps that you can attach onto your basic flip flops. These straps are called switchees. 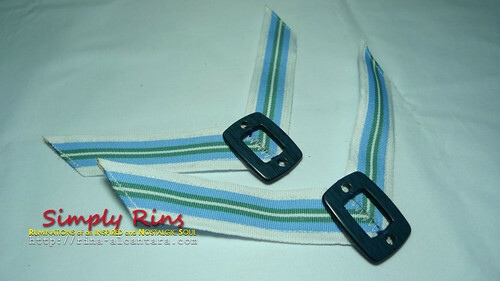 You can view available switches at Switch Strap Switchees Multiply Album. Finally, attach your preferred switchees to your flops. The interchangeable straps is attached to the flip flops to achieve a different look every time you change your switchees. 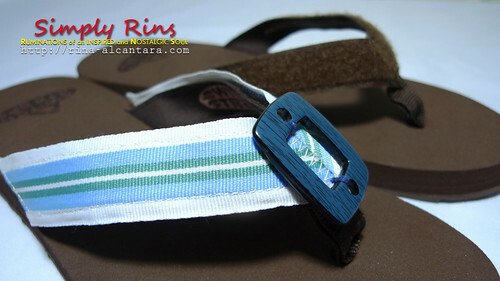 Switch Straps is definitely innovative and makes you have several flip flops without overspending! You'll be able to create a different look for your flops every time you change your switchees. The flip flops and the straps are washable. The designs of Switch Straps are patented and registered. You can get your own pair of Switch Straps by visiting the following sites: Switch Straps Multiply Site, Switch Straps Facebook Page, or thru Switch Straps Website. Choices are made available in these sites. Order form can also be found in any page. And to make sure you're getting the right size, don't forget to check out the Size Chart. Magkano nagrarange ang prices nila?